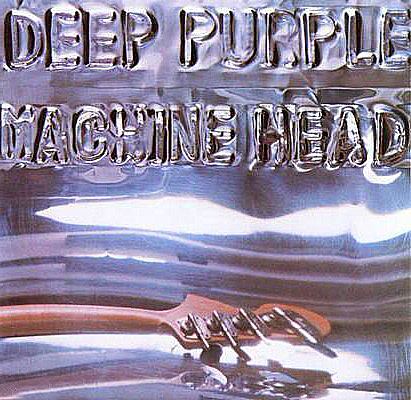 This article tracks the events leading up to the release of Machine Head, arguably Deep Purple’s seminal album, from the recording in Montreux in December 1971 onwards. This article originally began in 2011, but we feared it was being lifted to use on the 2011 anniversary CD set (much cheaper than paying the writer!) so took it off line. With the publication of the Machine Head book due in 2015, it seems timely to bring it back and update. I have left on the original comments as well. We would love to hear from anyone who was at the Zappa concert, or has any recollections of the events in Montreux. In particular any leads to surviving crew from the Stones Mobile, would be welcome. A huge thank you to the many people in Switzerland who have already been enormously helpful and will be credited in the book. Deep Purple had played at the Montreux Casino twice before, back in 1969 and in 1971, and had got to know Claude Nobs, in charge of tourism for the town and heavily involved with the promotion of rock concerts at the Casino and other venue. He was the man they turned to when they decided to record in Montreux – a decision at least in part made for tax reasons (their albums until then had been recorded in Britain). The band were also determined to record an album quickly and on time for once, as 1972 was already shaping up to be a very busy year. 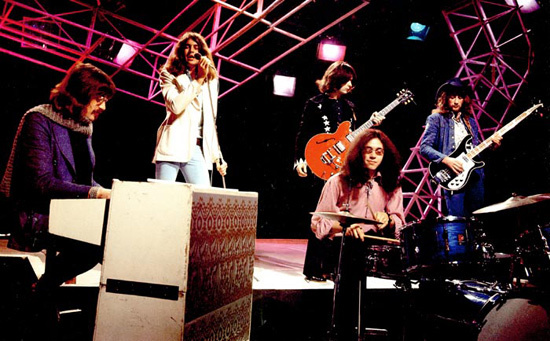 Their last two albums had taken many months to complete and they also needed to play extra American shows to replace those cancelled in Autumn 1971 when Ian Gillan fell ill. While he was recovering the band kept themselves busy; Blackmore cutting some material with Ian Paice and Phil Lynott, Roger Glover getting some ideas together for the album. Claude Nobs got in touch to say the Casino was free for most of December and offered to make the necessary arrangements. The initial idea was to cut the album inside on the stage and also play a live show as a favour to Claude Nobs, recording that as well for a half live / half studio album (maybe along the lines of Floyd’s Ummagumma). December 3 – 7. 1971. On December 3. 1971 the band began to arrive. Jon and Ian Paice appear to have driven down (Jon had got himself an E-Type Jaguar), and others flew in to Geneva Airport. 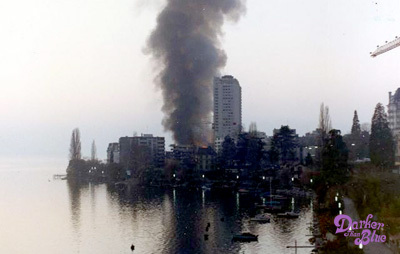 They were staying at the Eden Au Lac hotel. The Rolling Stones Mobile Studio hired for the recording arrived in Montreux around midnight on the same day, crewed by Ian Stewart and friends. Early on December 4. 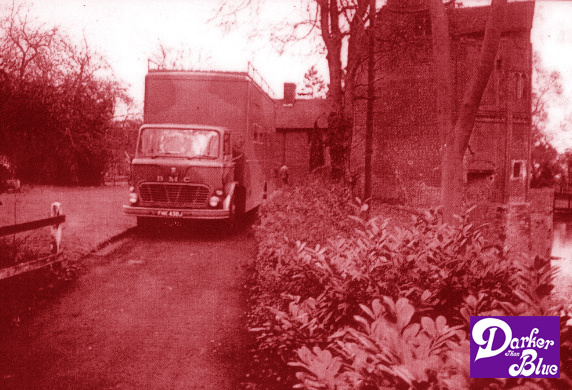 1971 the Deep Purple gear arrived in another van, and was driven to the Casino site. The venue was already full of equipment for the final concert of the season, a show by Frank Zappa And The Mothers, so it was decided not to add to the confusion but unload the Purple gear once Zappa’s roadies had cleared the stage after the concert. On the afternoon of December 4. the group and crew were invited to attend the Zappa concert which unusually was an afternoon performance starting at 2.30pm. 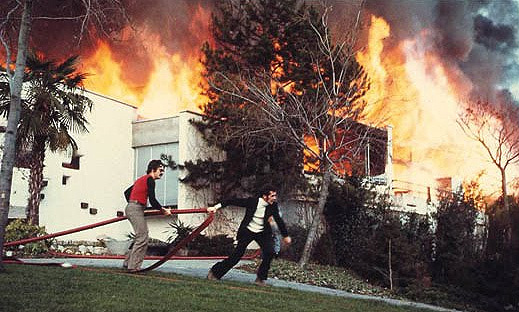 It was during this show that someone in the crowd set off a flare gun which began the blaze. The concert stage was in a newer extension at the side of the original Casino, with a low ceiling and wooden structures above the stage area. Announcements were made from stage as smoke appeared and the audience, which had been seated on the floor, began to make their way out. Others were already near the exits having nipped out during a break in Zappa’s set to sort a few technical issues. Being daylight undoubtedly helped as people could at least see to get out. Many people were able to get out quickly but the fire then suddenly intensified and threatened to trap people who had been nearest the stage. Firecrews were on the scene quickly and broke large plate glass windows between the old Casino and the newer building next door. This enabled people to jump out but also fanned the flames and the fire quickly took a proper hold, ultimately destroying the whole of the modern structure and spreading through the old Casino, leaving just the walls standing the next day. Two of the Deep Purple crew managed to break open the gear van and move it to safety and apart from some minor injuries suffered when a boiler exploded everyone got out safely. The group returned to their hotel which was close by and they were able to watch the scene from the restaurant window. Ian Gillan feels it was here that Roger Glover took a napkin and scribbled the words Smoke On The Water on it. Glover himself thinks he woke from a dream about the fire with the phrase in his head. Claude Nobs came to see the group the following day (Dec 5. 1971) and despite his own problems began see what could be done about the recording. His idea was to relocate the session to the nearby Pavilion, a former tea room and skating rink which by 1971 had been turned into a disco and night spot called The Strobe Club. Claude was involved with the venue so was able to facilitate the move. Purple’s crew set about loading in the equipment and on Dec 6. the group were able to start work. They’d been told that as the venue wasn’t very soundproof they’d only be able to record during the day. The group spent time setting up then began laying down their first backing track after an evening meal, starting around midnight. This session carried on into the early hours of Dec 7. by which time nearby local residents had reportedly called the Police in. While the group worked on behind heavy velvet drapes, roadies were arguing with Police in the entrance area. The group managed to finish the track and as they left to go and listen to a playback in the Mobile outside, realised from the commotion in the foyer where the Police were trying to get in (we think that’s the foyer in the photo above, albeit taken at a conference) that they would not be able to continue at the venue. Martin Birch marked up the 2″ tape reel box with the identifying name “Title No. 1”. 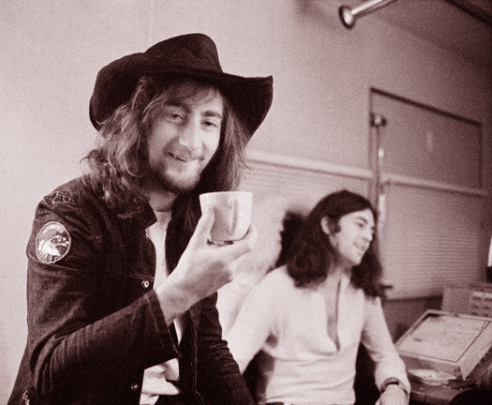 Roger Glover feels it was during the session that he spoke to Ritchie about his idea for a song called Smoke On The Water and that this first riff of Blackmore’s might work. They had a more immediate problem however and with the help of Claude Nobs began a search for an alternate recording venue. When you read contemporary articles about the search for an alternative venue after The Pavilion, it seems to have dragged on for ages. In fact it all took place pretty quickly. Claude seems to have spent much of Dec 7. and 8. checking places out, but later on Dec. 9 they were recording again. So I think it reasonable to assume the Grand Hotel des Alps was given the OK on Dec 8. 1971. This would allow time for the gear to be moved in, and work to transform the corridor into a ‘studio’ by blocking up access to the Hotel foyer with a temporary stud wall. Mattresses were stuffed into the other two ends, and access was via one of the hotel room doors out onto a balcony. With a T shaped space, drums were positioned in the alcove created at the junction of the T. Keyboards were at one end of the corridor space outside Room 57, with a divan and mattress propped against the Leslie speaker to help deaden the sound. Gillan’s microphone was opposite. At the other end of the corridor were table, chairs and Glover’s bass amplifier, opposite the Ladies Toilet. He also sat here with Gillan while they were writing lyrics. Blackmore’s Vox stood at this end facing down the corridor. The Stones Mobile also had to be set up along with the VCR monitors which enabled Martin Birch to watch what was going on (and no, the feed was not recorded! Recent clips purporting to come from the session are faked). An industrial heater was brought in to provide warmth between recordings, and a ‘few red lights’ added a little ambience. To get into the ‘studio’ you went via the hotel’s rear entrance, and into room 62. From there it was out onto the balcony and back in via room 56. This was linked to room 57, which opened into the corridor space itself. On Dec 9. they began recording Highway Star, which was laid down in two takes. On Dec 10. they did Lazy in one go (though there would be later overdubs for both – Gillan’s scream was done on five separate tracks then brought together). These two songs had already been played live so they knew them well and it was a good place to start. Dec 12. was devoted to Never Before which took longer to perfect, with only two complete takes done, and Pictures Of Home on Dec 13. 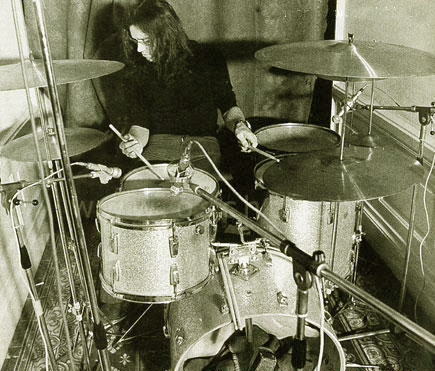 Ian Paice’s drum opening was done separately and copied in. Initially members of the group went out to the Mobile to listen to play-backs (that’s Roger and Ian inside the Mobile above) but after a couple of days mostly let Martin Birch guide them. There was then a break in recording as the group flew back to London on Dec 14. for a recording of Top Of The Pops on UK TV on Dec 15. Gear was left in Montreux; Blackmore nipped home to get his red Gibson, a drum kit and keyboard being found at the TV station and Glover took his Rickenbacker. They mimed to Fireball (see photo below), using a slightly remixed version of the album track which had been prepared. The performance, broadcast the following day, is still lost, the BBC file copy having been erased. Deep Purple returned to Montreux on Dec 16. 1971 with manager John Coletta. On Dec 17. they were recording a keyboard opening for Lazy and starting work on Maybe I’m A Leo. The next two tracks were When A Blind Man Cries and Space Truckin (titled originally Batman as the riff did sound like the old TV theme, then just named Space). The tape date is Dec 20. so we assume they were laid down over a couple of days, while Gillan also began writing the lyrics for Smoke On The Water. Photographer Dieter Zill snapped Ian’s notebook as he wrote. Journalists from the NME and a European paper were also reporting the sessions. This story is based on edited extracts from the forthcoming book Fire In The Sky to be published through Easy On The Eye books in 2015. The sequence of events has been pieced together from numerous sources but so long after the event recollections may differ. If you can add anything feel free to get in touch. Images will be correctly accredited in the book. An excellent article (with appropriate pictures!) of a key moment in the history of my favorite band. I look forward to the upcoming book. I will never forget firing up this LP for the first time on my (barely) portable stereo and hearing the intro to Highway Star…OK, I’m off to put it on. Thanks Simon, absolutely packed with interesting information as usual! 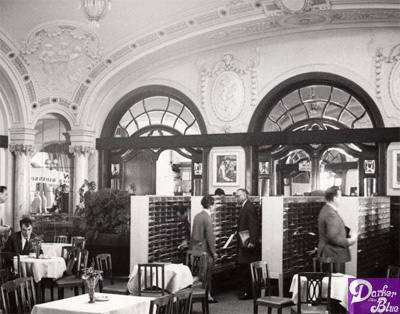 Have you got pictures of the Grand Hotel nowadays? I’ve read that now there are apartments there? I’d love to see the actual spot of the recordings now. The building looks almost the same, they did a nice conversion job inside but left outside as it was. Since there are already so many great remixes and remasters, a great idea would be to publish Machine Head as a digital multitrack album, each instrument as a separate channel that we can switch on and off. This would be a huge sales hit. I’d love to know the exact equipment used in the recording of this masterpiece of rock. For example, which Strat did Ritchie use to record the solo of Pictures of Home, the black, etc. Is always a pleasure to read about Machine Head sessions, specially at this time of the year. 40 ago, and seems like it is happening today. Great Deep Purple!!! Whatever happened to the Rolling Stones Mobile? I seem to recall it went up for auction a few years back……? Will get onto this. It survives but almost nothing is left from the original 1971 vehicle. Thanks a million for this very interesting informations. Thanks Simon! Gary Smith’s comments reminds me that your Powerhouse compilation was also the first Deep Purple album I got… many many years ago! Great write up on an important moment in time for the band. To any of you out there, if you get the chance to visit Montreux, I found it a fantastic experience finding the recording locations. Walking up the road to where the mobile was parked at the Grand – I had a lump in the throat – T’was like finding the holy grail !!. Great work Simon. Just goes to show the power of the album when at least 5 of the 7 tracks (or 6 from 8 if you include When a Blind Man…) are still played every night. Classic Album. In Rock, Fireball … and Machine Head – this is Hard Rock. I would suggest that comes 2012, EMI would come out with The 40th Anniversary “Machine Head” record, plus a DVD and a CD and also a booklet for collectors, just like Jethro Tull’s Aqualung 40th Anniversary album which is on sale now. Machine Head is the most Purple classic album of all time. Please consider my request. Thank you in advance, Simon! I’m certainly looking forward to the rest of this, and MAY even buy the book! Well done, Simon!